Enjoyable – We can chat about flying if there’s time! He relocated the aviation medical centre from Manly West to Cleveland in 2018. Dr Richard Beatty is a Private Pilot & flies a Cessna 172 from Archerfield. The PPL was first gained in 2009 in the UK & subsequently converted to the Australian PPL following a full flight test in 2013. He requires a class 2 medical every 2 years and therefore understands first-hand the anxiety that aviation medicals can cause. Thankfully, most issues can be resolved without any gaps in flying provided that the pilot and The DAME work together. His motivation is to provide a prompt and professional service whilst enjoying a banter with fellow aviators. Dr Richard Beatty is an Australian Designated Aviation Medical Examiner (DAME), ACCAM Qualified & a member of the Australasian Society of Aerospace Medicine. 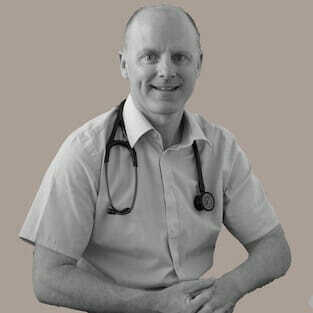 He has been a DAME for several years and also has a special interest in skin cancer & no scalpel Vasectomy. The website’s intended audience are pilots & controllers who are interested in learning about medical issues in aviation.